Palaeocast published an interview with Prof. David Harper of Durham University, UK, about the Ordovician System and the Great Ordovician Biodiversification Event. Check it out at http://www.palaeocast.com/episode-19-the-great-ordovician-biodiversification-event. The Ordovician News No. 30 (for 2012) has been compiled and is available for download. Many thanks to all who contributed. I hope you will find this issue informative and useful. If I have omitted any reports, or have made some other error in my compilation, please inform me and I will fix this up. 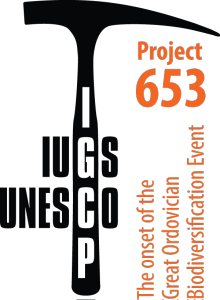 The 4th Annual Meeting of IGCP 591 will be hosted in Estonia, between June 10-19, 2014. The scientific sessions in Tartu will be preceded and followed by two geological excursions to study the lower Paleozoic carbonate succession of Estonia. The 2014 annual theme of IGCP 591 targets Evolutionary paleoecology and paleobiogeography, however, the annual meeting will not be limited to these topics. A broad range of contributions on Early to Mid Paleozoic geology are expected, from paleontology and stratigraphy to geochemistry, paleogeography and climate modeling. The meeting will be organized jointly by the Department of Geology, University of Tartu and Institute of Geology, Tallinn University of Technology, with the support from the Geological Society of Estonia and IGCP 591. More information is available on the conference website: http://igcp591.org/2014 and in the First Circular.